Shanghai MAXXIS Sharks will play against Perth Wildcats today for the last game in the tournament. 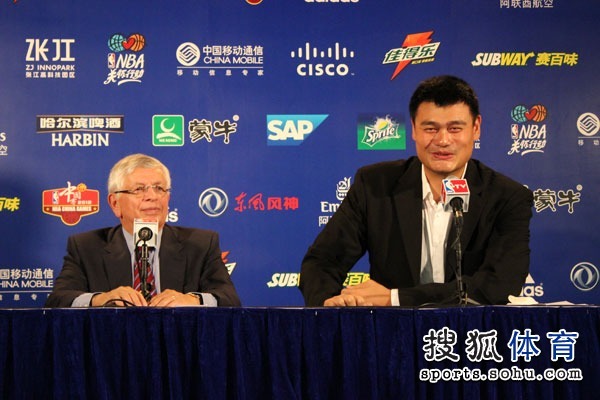 But their boss Yao Ming won't be there to watch them play by the courtside. Probably he has something urgent on his schedule. 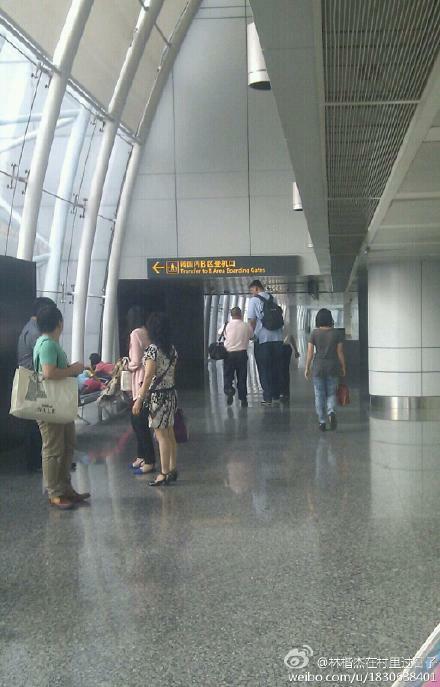 Yao Ming had left Perth to fly back to Guangzhou this afternoon. 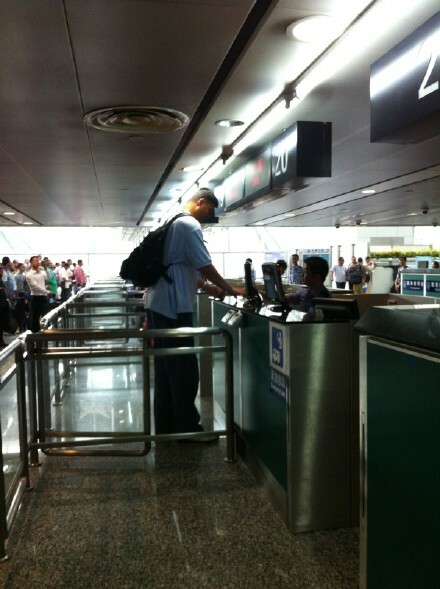 Here are photos taken this afternoon when Yao Ming further boarded plane in Guangzhou for another destination, very likely back to Shanghai or Beijing. 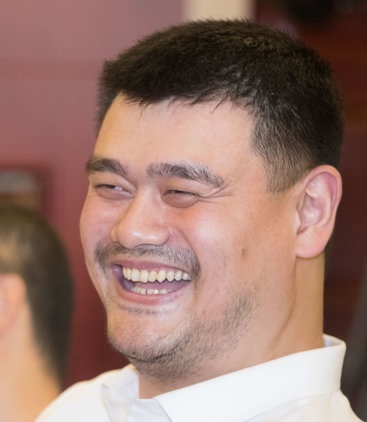 Yao Ming should do something more productive for the CBA and expand his family rather than traveling around and taking photos. You have NO FVCKING IDEA of what you're SPEWING about !!! 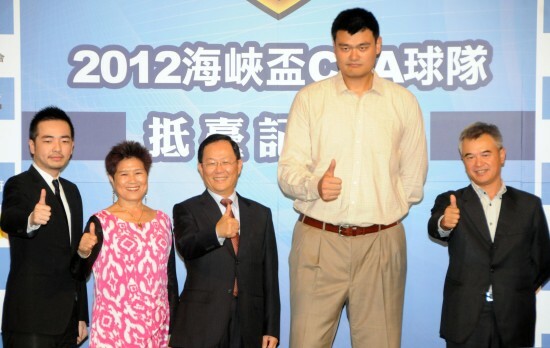 Yao Ming does not need to fly to Perth for taking photos !!! 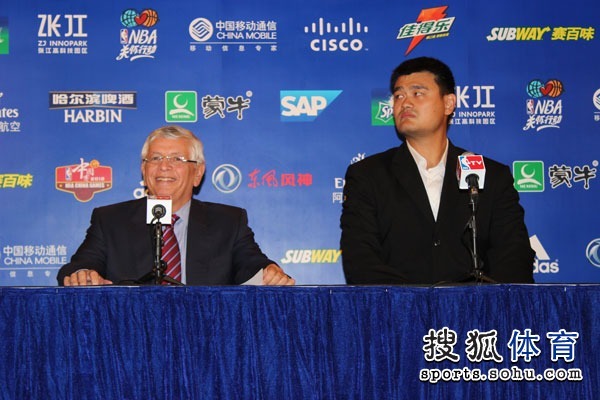 RV Sports of which the owner of NBL Perth Wildcats franchise Andrew Vlahov is the CEO and Managing Director had signed a 5-year agreement with both CBA and Shanghai Municipal Sports Bureau last year. 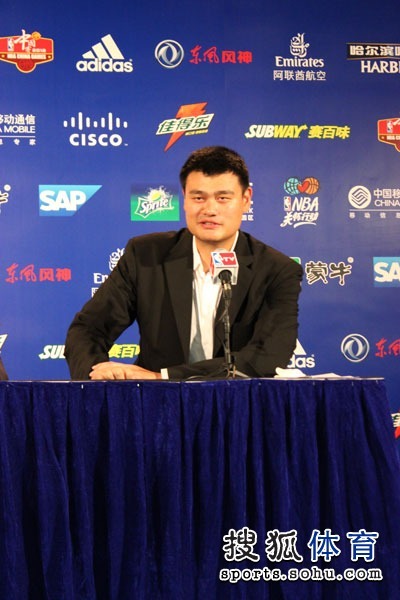 Under the agreement with CBA, the China national team and Australian national team will compete against each other during the summer in Youyi Tournament in Perth Western Australia. Under the agreement with Shanghai Municipal Sports Bureau, in the next 5 years, exchange programs will be set up for athletes and school kids/lads from Shanghai to be trained in Australia. And such exchange programs will not be just limited to basketball, but also swimming and track & field. A delegation of 70 school kids/lads from Shanghai was sent to Perth in February this year for a 10-day sports camp for training in basketball, swimming and track & field. And this is the 2nd year in succession that Shanghai MAXXIS Sharks participated in this annual Cable Beach Invitational Tournament as part of the on-going initiative. 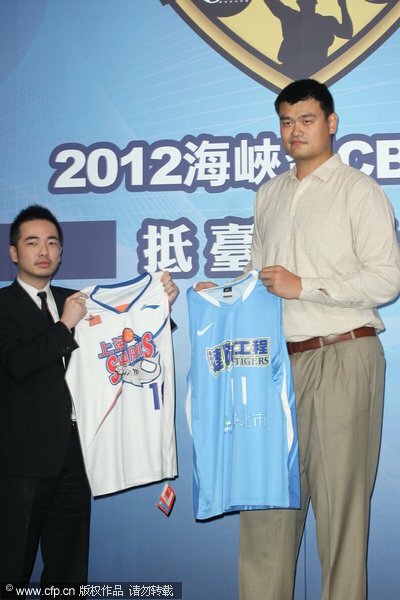 Yao Ming went there this time not only because he is the owner of the Shanghai MAXXIS Sharks. He went there also in his capacity as Vice Chairman and Honorary Ambassador of the Shanghai Public Diplomacy Association to have meetings with officials of RV Sports and Tourism Western Australia to discuss and plan for exchange programs for high school students/athletes of Shanghai in 2013. Just like last year (23 ~ 66), Shanghai MAXXIS Sharks got thrashed by Perth Wildcats 37 ~ 71 yesterday to complete the Cable Beach Invitational Tournament 2W 1L. After falling behind by only 4 points (15 ~ 19), the match was blown wide open in 2Q, as the Perth Wildcats galloped to a 28 ~ 6 quarter, and never looked back from there. Shanghai MAXXIS Sharks played very poor in this game, got out-scored, out-rebounded and out-assisted, and committed 30 turnovers vs 16 by the Wildcats. Their best player was still Elijah Millsap who scored a double-double of 14/12 but with very low efficiency of 5/15 FG% 1/6 3-pointer% 3/4 FT%. 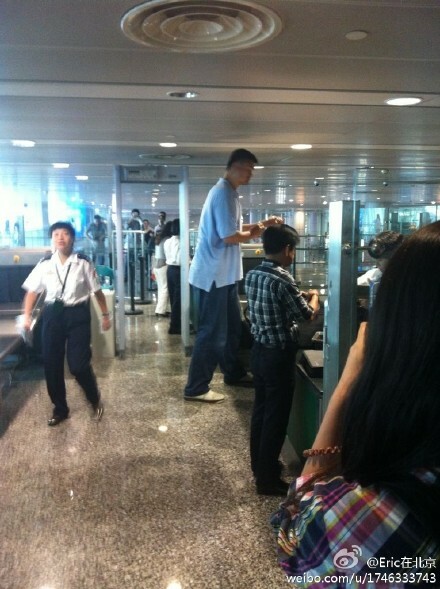 Just like I thought, it's confirmed Yao Ming was flying back to Shanghai. 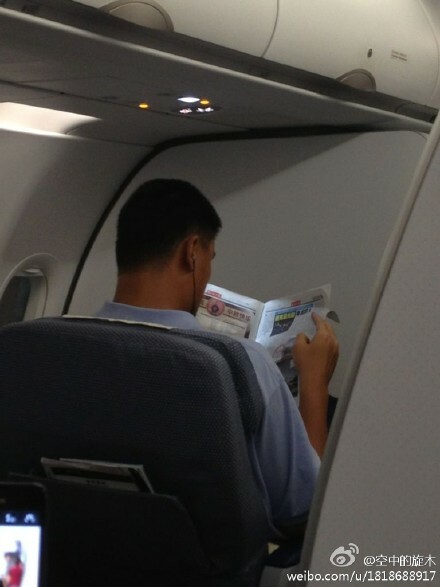 Some posters posted photos of Yao Ming on his flight back to Shanghai yesterday on sina weibo. 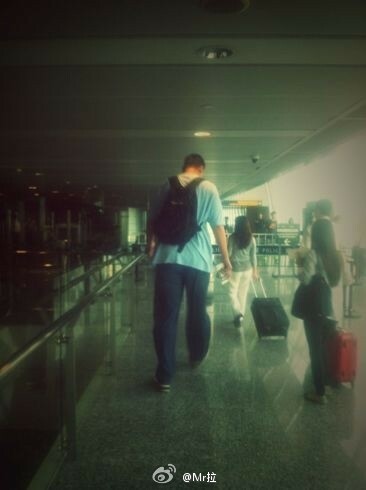 Yao Ming and family (Ye Li, Amy and his parents) were in Taiwan yesterday. He was there in his capacity as the owner of his Shanghai MAXXIS Sharks to participate in the annual Straits Cup, an annual event between China and Taiwan to promote cultural and basketball exchange across the strait. 4 teams (2 from CBA China, and 2 from SBL Taiwan) are playing in the tournment: Shanghai MAXXIS Sharks, Zhejiang Guangsha Lions, Pure Youth Construction (SBL Champion), and Dacin Tigers (3rd in SBL). 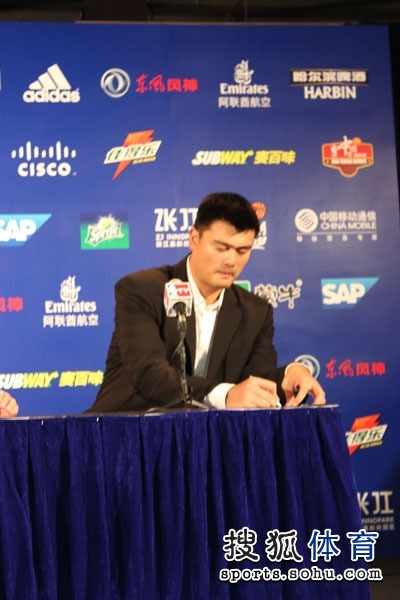 Here are photos of Yao Ming in yesterday's press conference with the owners of the other 3 teams, and the Taiwan SBL Commissioner Ting Shou-chung. 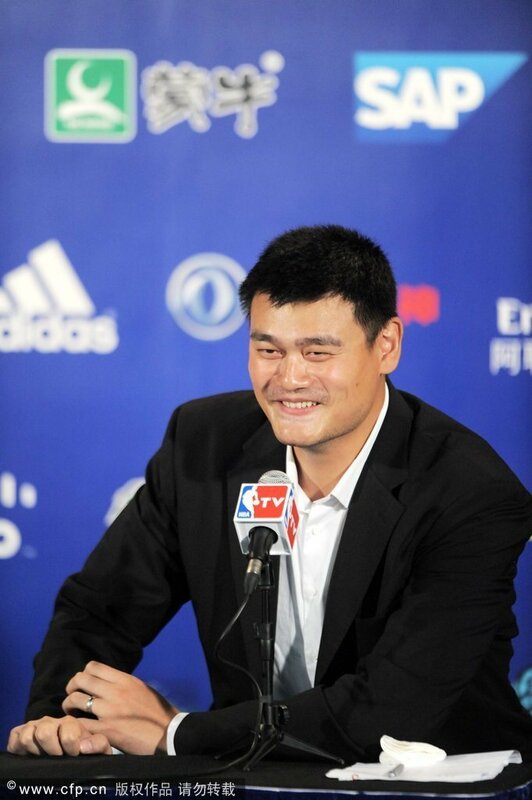 Yao Ming's Shanghai MAXXIS Sharks did pretty well in this Straits Cup tournament so far. 2W 0L. They beat Zhejiang Guangsha Lions in closely contested game 58 ~ 53 yesterday (October 13) in Taichung. 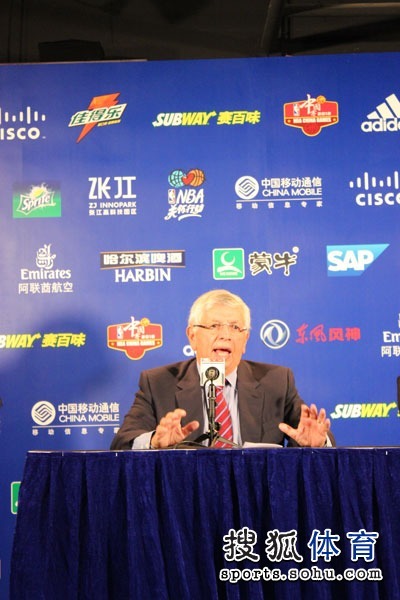 Cai Liang scored 15 points; Wu Yang had 11 points and 8 rebounds. They will play against a winless Pure Youth Construction (0W 2L) in their last game tonight. Since they had beaten Dacin Tigers (1W 1L) and Zhejiang Guangsha Lions (1W 1L) already, even if they lose the game against Pure Youth Construction, probably they will still be crowned champion of the tournament. 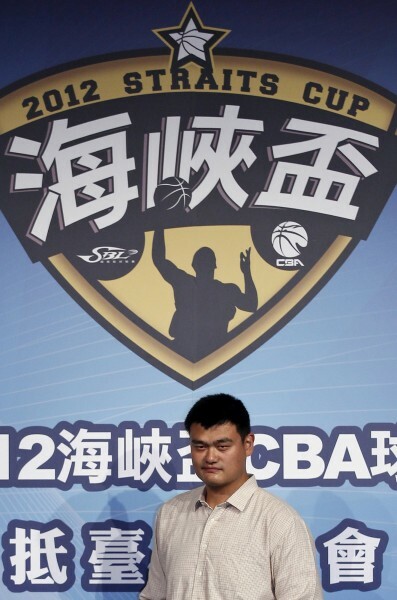 But Yao Ming will not be there to share his players' joy of hoisting their very first trophy of any kind. 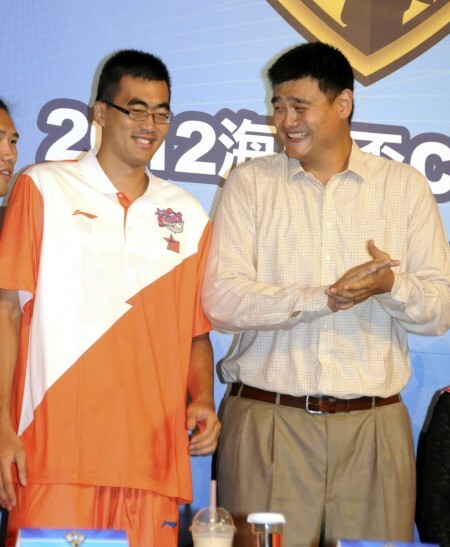 In fact Yao Ming was not there in Taichung for the game with Zhejiang Guangsha Lions. 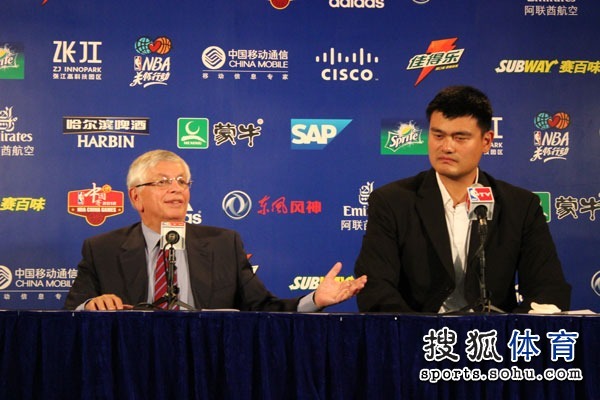 He had flown back to Shanghai yesterday in order to be back into Shanghai to be there as the Guest of Honor in today's (October 14) China Game between Miami Heat and Los Angeles Clippers. 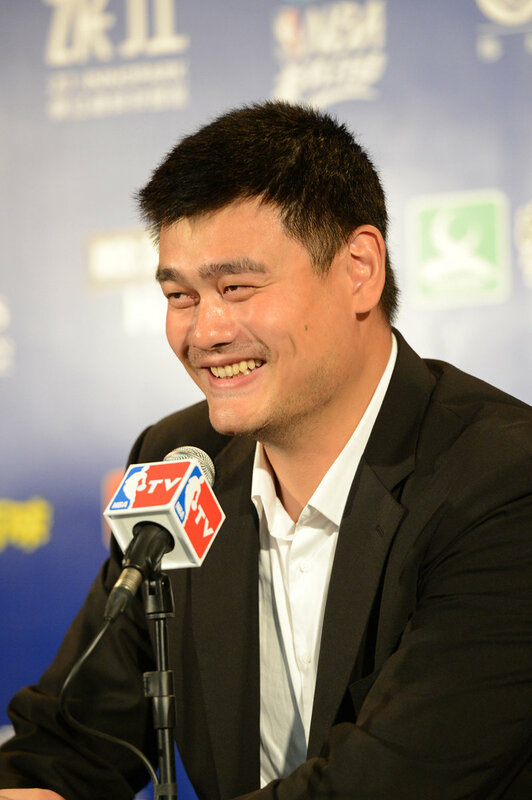 Sometimes it is not nice to be a celebrity or sports icon like Big Yao. 人在江湖，身不由己 literally means when you're in the game, you have to abide by the rules. His family (Ye Li, daughter Amy and parents) was there in Taiwan for their first visit. 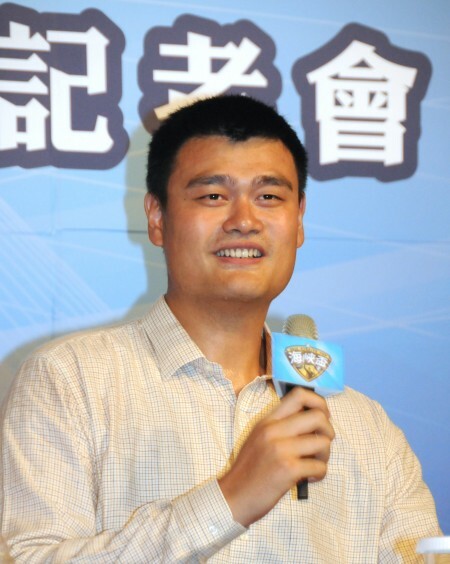 But as the face for Chinese basketball, and his Foundation's co-operation with China NBA, he has to make sacrifice on his personal/family time to be back to Shanghai for the NBA China Game. Is Max Zhang going to complete his university studies? 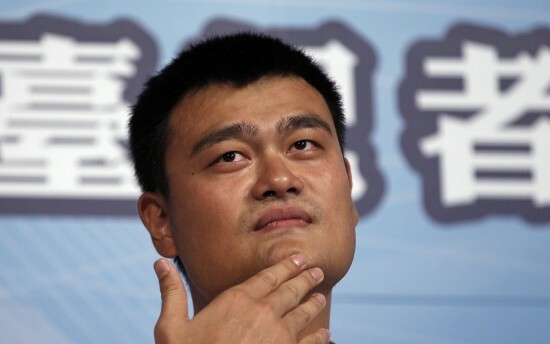 We know now WHY Yao Ming has to sacrifice his personal/family life to rush back from Taiwan to Shanghai leaving his family there in their tour of Taiwan. 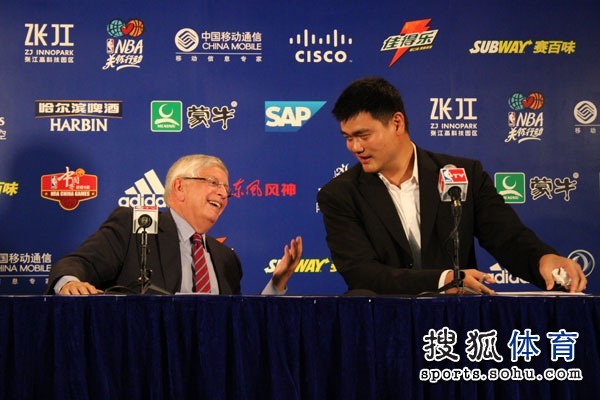 Big Yao attended a press conference today (October 14) in Shanghai Mercedes Benz Arena (formerly known as Shanghai World Expo Cultural Center) together with NBA Commissioner David Stern prior to the 2nd game of the 2012 China Game series between Miami Heat and LA Clippers. 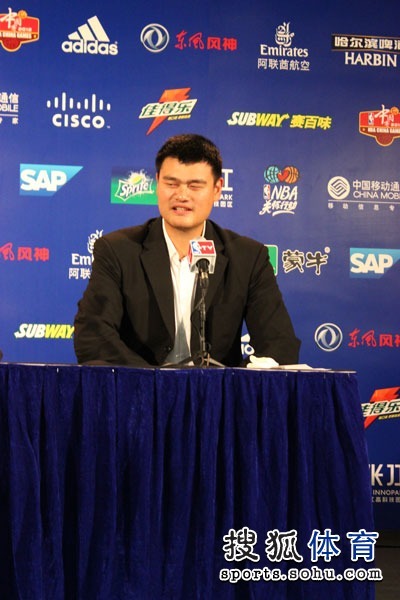 We all knew that back in mid July this year, NBA China had announced a broad and comprehensive partnership with Yao Foundation to further basketball participation, develop youth basketball, promote cultural exchange and conduct social responsibility programs in China. 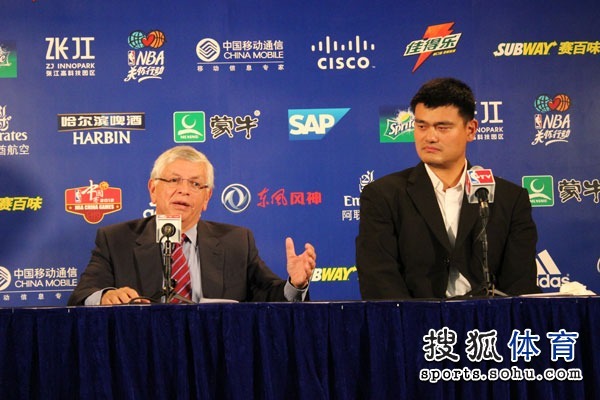 And in today's press conference, David Stern further announced that NBA will participate in an annual summer charity game with Yao Foundation starting 2013. 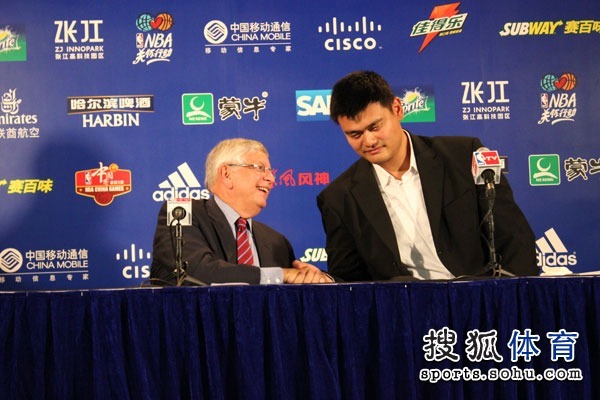 Here are some photos of Big Yao with David Stern in today's press conference. Last edited by pryuen on Sun Oct 14, 2012 9:00 am, edited 1 time in total.